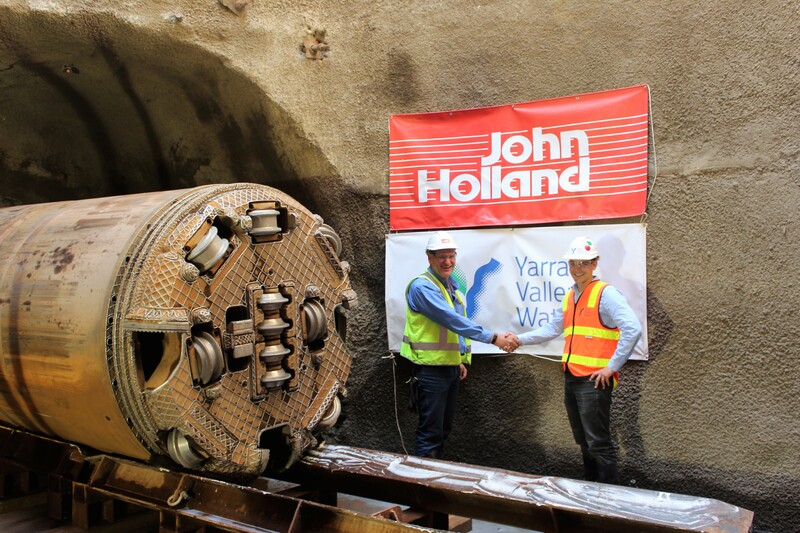 Yarra Valley Water today announced that construction of the Amaroo Sewer Main project is complete, symbolising a $100 million investment to help support the growing communities in Melbourne’s north. Managing Director Pat McCafferty said that the Amaroo Main Sewer is a critical part of future infrastructure which will serve proposed developments in Melbourne's Northern Growth Corridor. “The sewer which was completed six months ahead of schedule, stretches over 8kms long between Craigieburn and Donnybrook, providing the backbone of the new sewer network that will service over 100,000 new properties, equating to around 300,000 people and supporting around 90,000 jobs in the area. In line with Victorian Government's water plan, Water for Victoria, this project is providing the services we need to deal with the challenges of population growth”.